For me, January is all about organization! I realize I'm not the only one... But each year when I start putting Christmas away, I get the itch to start organizing. Every. space. in. my. house! Yesterday I literally spent all day long organizing. From the basement to the office; from the pantry to the sock drawer! One organization project seems to lead to another. 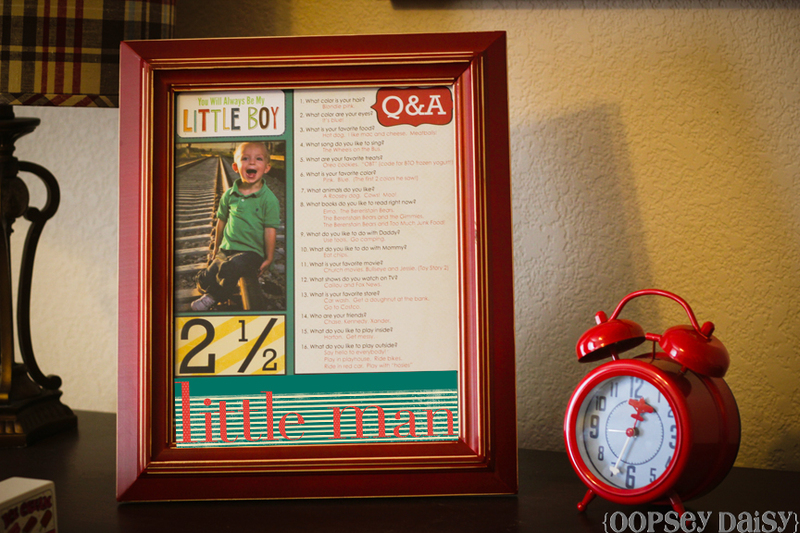 I stumbled on several adorable interview ideas on Pinterest, and I knew I had to create my own! 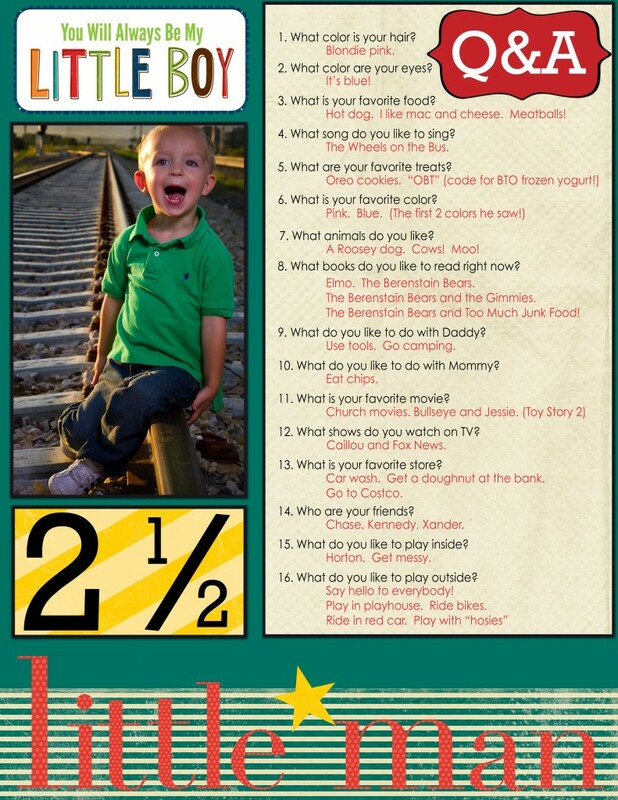 I actually conducted my first interview with Little Man over the summer when he turned 2 1/2. This was the first time that I felt I could pin him down to try to have a real conversation. His answers to the questions were hysterical! I actually busted out the video camera because it was so fun to see him answer the questions in his very own little way. This frame has been sitting on his dresser since then. I decided that I want to conduct interviews every 6 months which means we are preparing for our next interview. Can you believe that my Little Man is almost three years old?! He is growing up way too fast. What is your favorite thing to play inside? Then I used some elements from Crystal Wilkerson's Jumbo Alphabet and October's Sweet Paper Collection as well as Echo Park Paper's Little Boy Element Pack. (Some of my favorites!) I sized this as an 8x10 and sent it over to Costco. I plan on keeping these in his scrapbook or baby book. 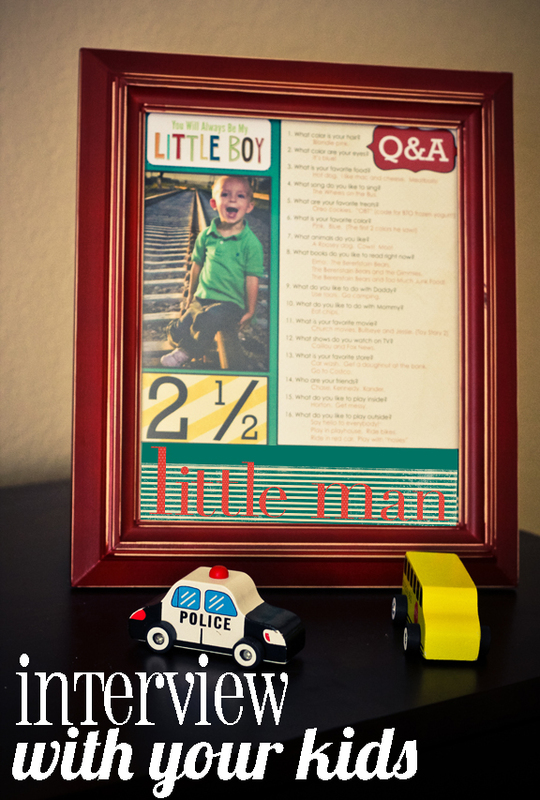 What a fun way to remember his little personality! 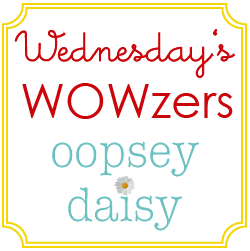 Don't forget to come link up your creations tomorrow to my very first "Wednesday's Wowzers" linky party! I can't wait to see what you've been working on! Also, the winner of the Silhouette Cameo will be announced tonight! 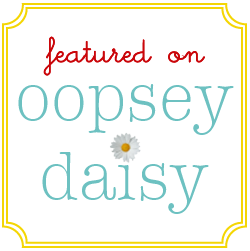 Exciting times on the blog! Oh Alison I love this!! I am SO starting this right away! My daughter will be 4 in just a few months. I cannot wait to do this with her 🙂 Pinning! This is a really really cute idea! My son just turned three, I think I will interview him this weekend! LOVE this, Alison!!! I really need to do this with my toddler. His answers would be too funny! I think we’ll make this a New Year tradition so I can start now. 😉 Thanks for the inspiration! This is so cute! 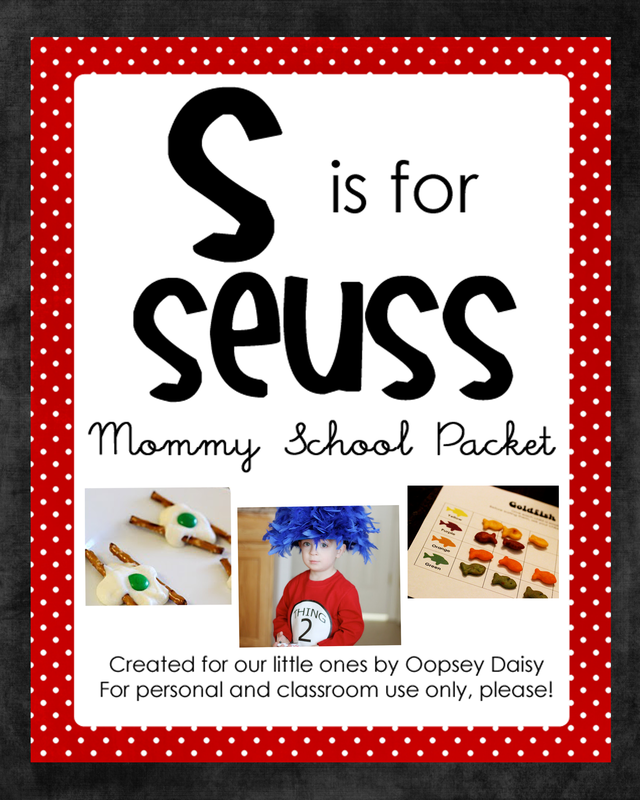 I’m definitely going to do it for my little monkey! Crack me up that he says his favorite TV show is Fox News! Love it! I love that his favorite store is “Car Wash!” Too cute! It’s funny because I’ve been thinking about starting something like this with my daughter! I had a friend growing up who’s parents did this with them on video. He had a VHS tape that they just kept adding to each year. I was thinking the other day about compiling short clips for a DVD and while thinking up my quest I couldn’t come up with enough questions to make it sound good enough to execute. But you just supplied me with many that I did not think of! Thank you! I love this idea. My oldest will be turning three this month. It would be adorable to videotape her answering these! Thanks! I can see you in a few years and looking over all of these questions and wondering what happened to that little boy, with tears in your eyes. This is a beautiful way to remember. This is a great idea…. I did scrapbooks for my kids’ baby books and do electronic since then. I like the idea of slipping these into the back of the baby books. Thanks! I’ve seen these on Pinterest. Yours turned out great. So sweet. Did you do that electronically? Then Costco printed it? 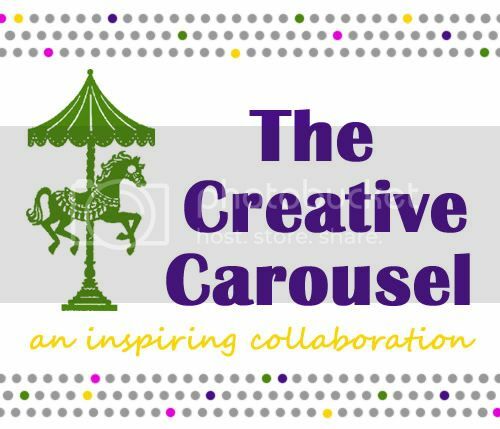 What digital scrapbooking program/website do you use? I just wanted to get into this and have NO clue where to start! Hi there! I ran across this and I love the template you used/made!! Is there any way you could share that digitally?!?! This just cracked me up! Adorable. Can’t wait to do ours! Thanks Brigid! I hope you have fun doing yours too!